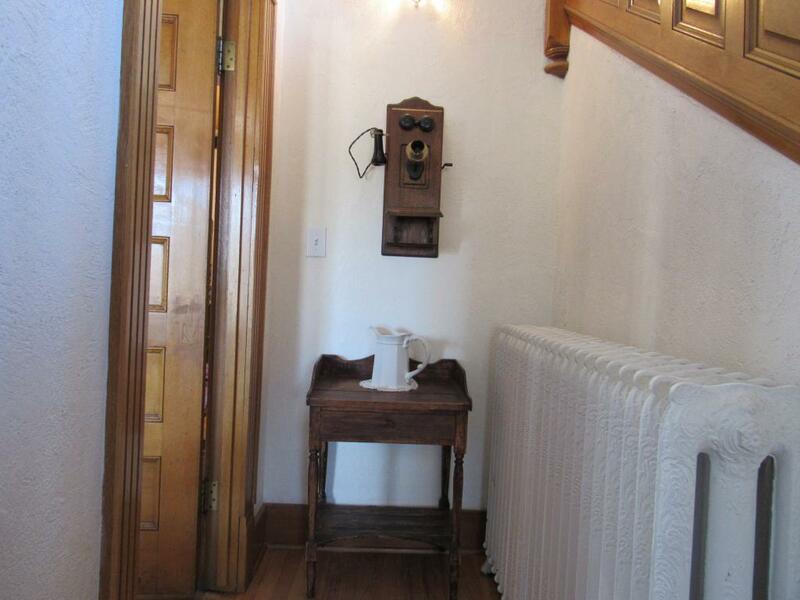 Warming and comforting since 1896. 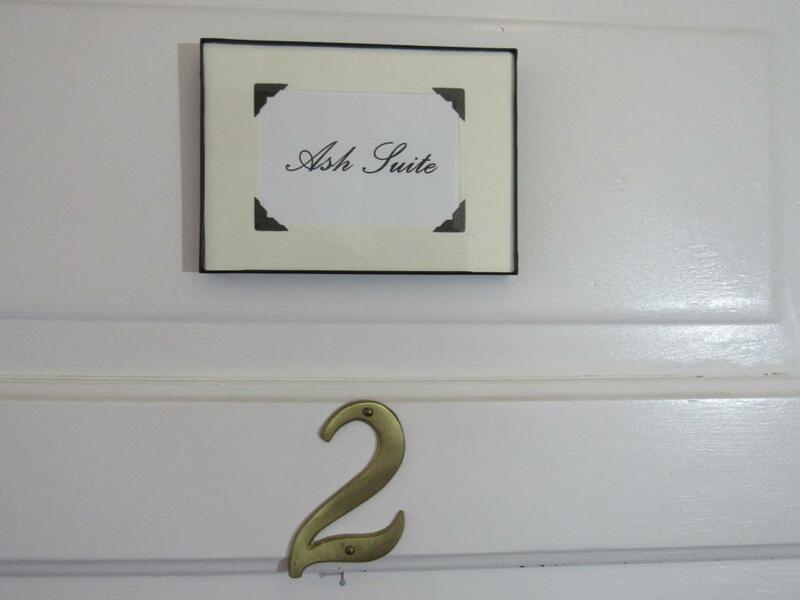 The Ash Suite is a cheery and sunny suite with blue accents and decor. 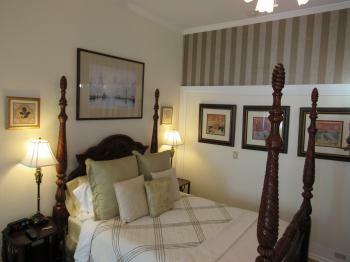 Called the Blue Room by guests, this suite offers a queen-sized bed and a separate sitting area with a sofa. 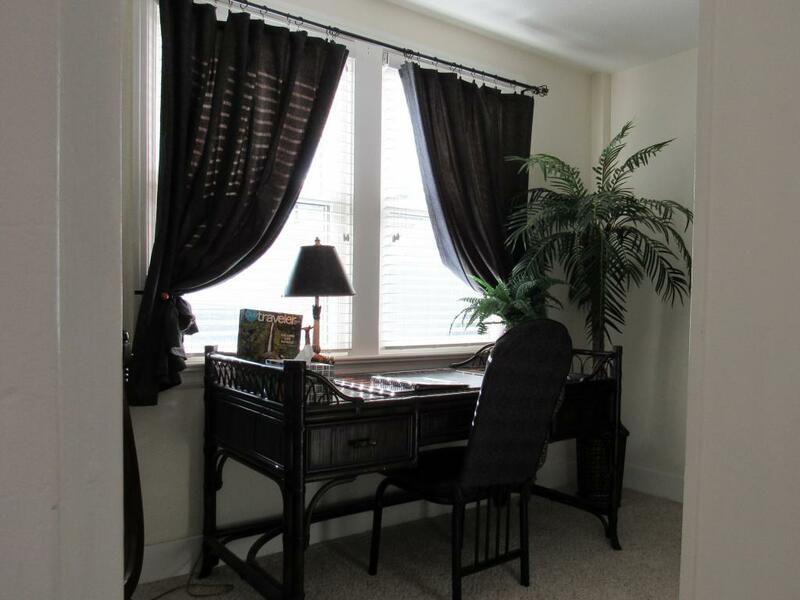 This lovely suite has lots of windows, providing abundant natural light and views. 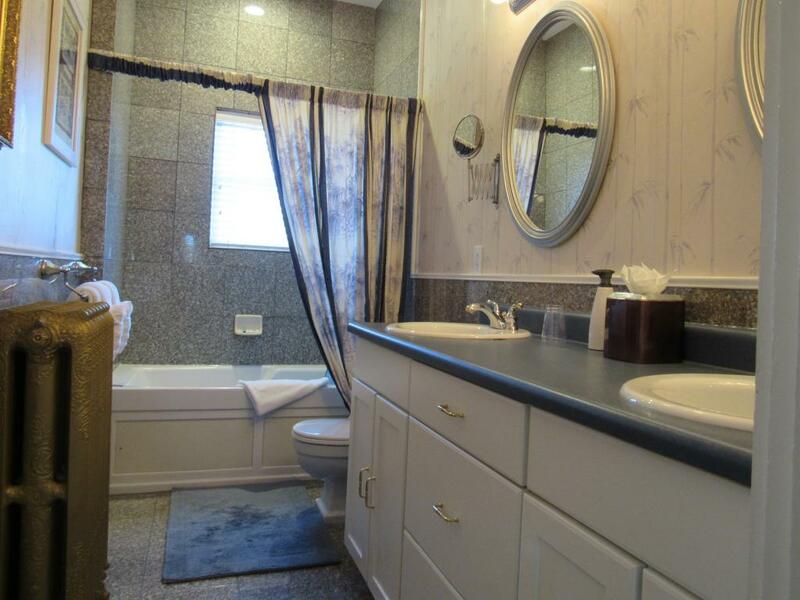 The Ash provides Flat Screen TV, A/C, mini refrigerator, dual bath vanities and a jetted whirlpool tub in the modern, private bath. The Aspen Suite features a striking red theme, a queen-sized bed and provides a private modern bathroom with granite accents, a double sink and a jetted tub. 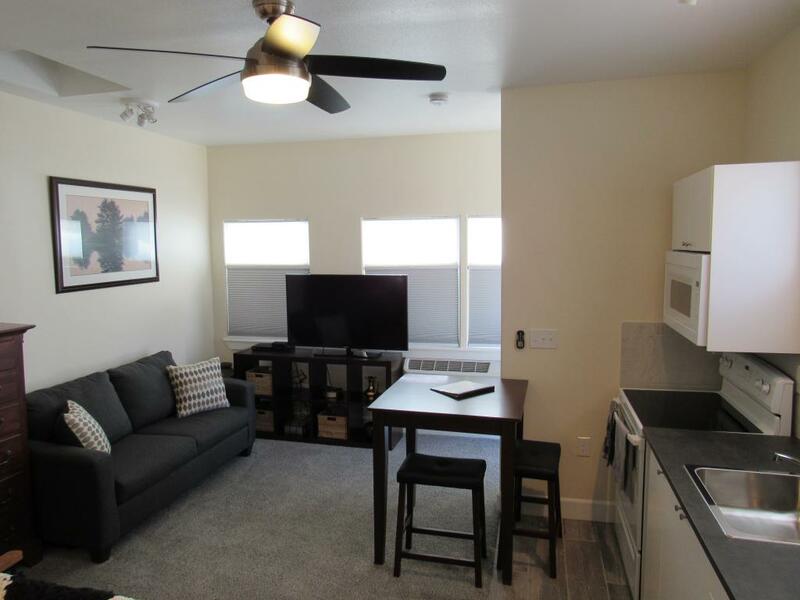 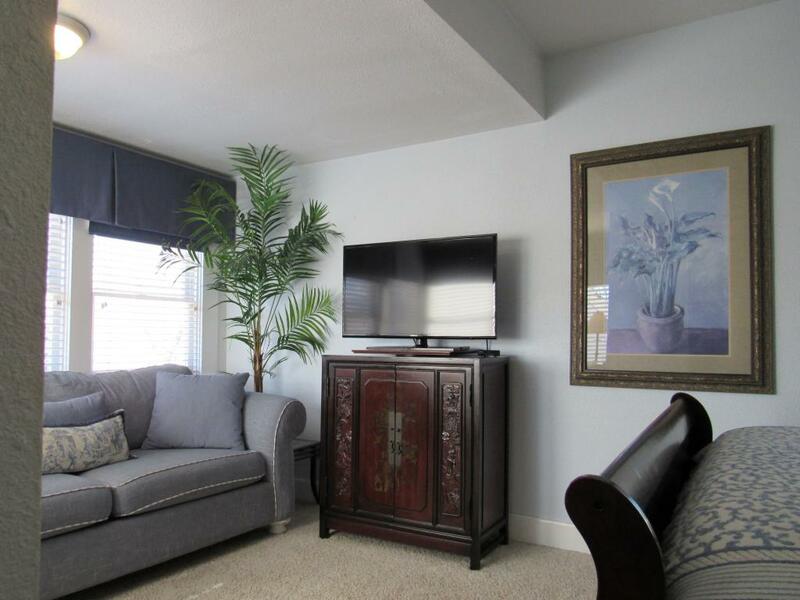 The Suite provides a desk and sitting area, a Flat Screen TV, A/C, ceiling fan, and a mini refrigerator. 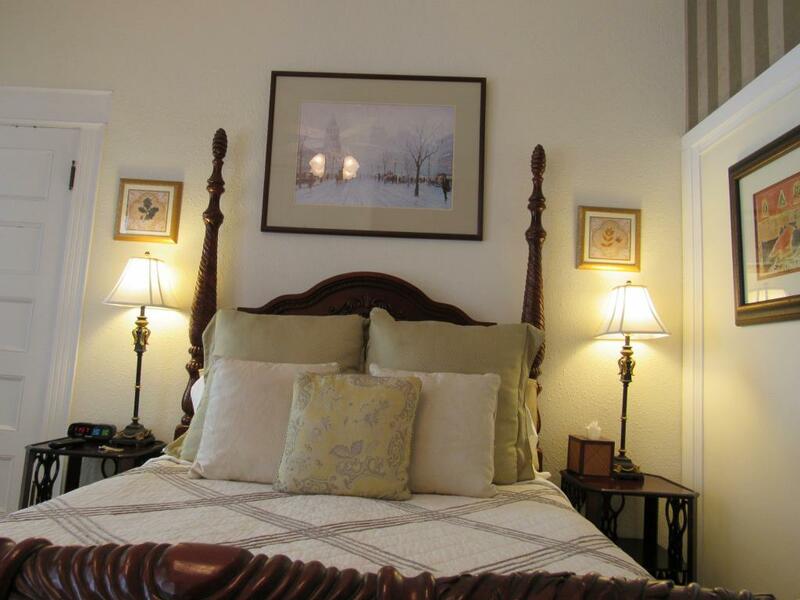 This unique "safari style" suite features a queen-sized bed, a separate study which has a large writing desk, and an additional sunny day room. 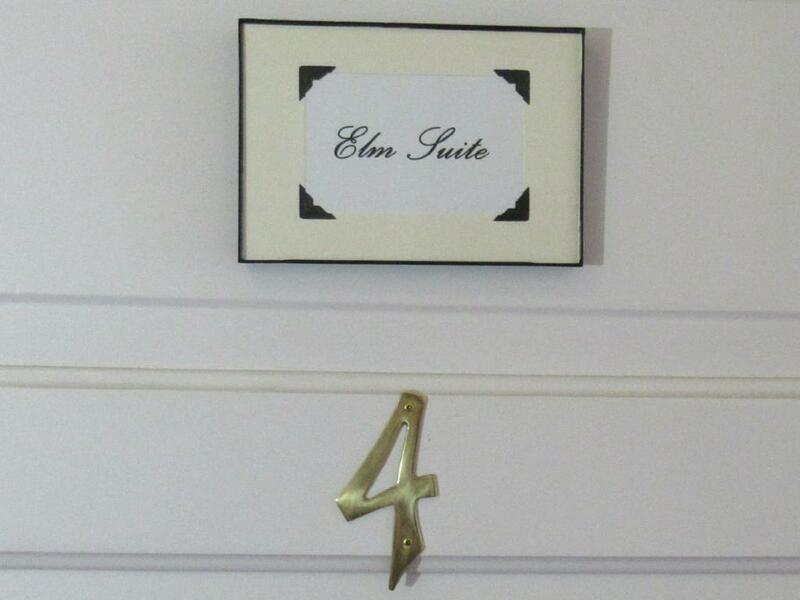 The Elm Suite is made more interesting by the abundant natural light that washes through the many windows. 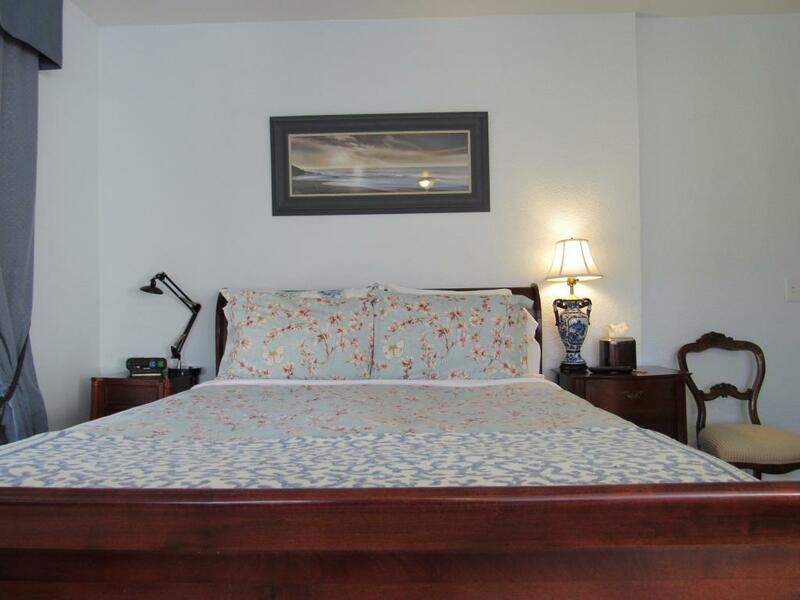 The Elm provides Flat-screen TV, mini refrigerator, A/C and private, modern bathroom. 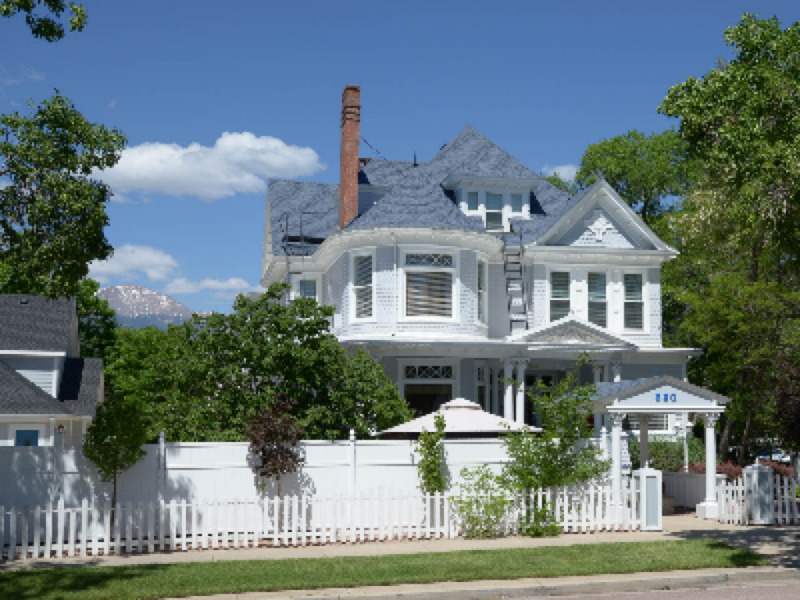 The Fir Suite is on the third or top level providing abundant windows and unobstructed views of downtown and the Rocky Mountains. 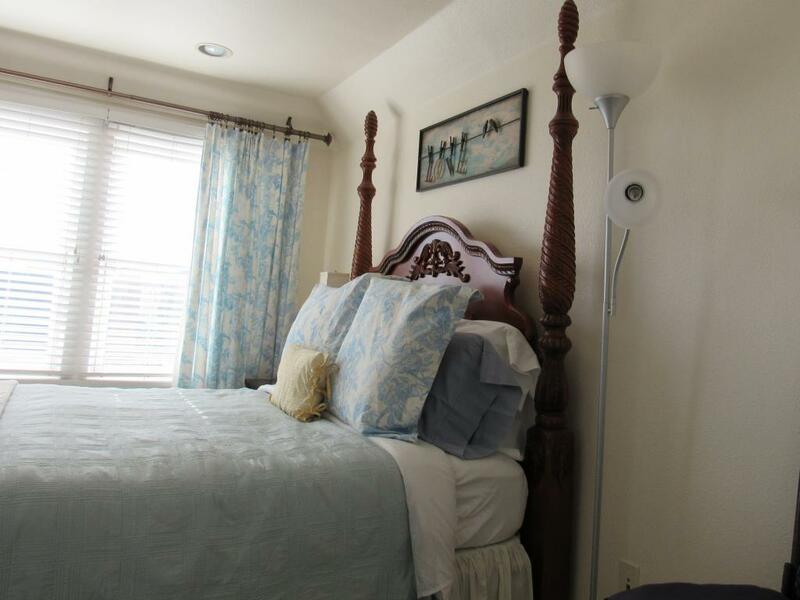 This intimate suite has a queen-sized bed and a private adjoining, granite-tiled bathroom with a shower, large mirrored-closet door, flat-screen TV, ceiling fan, A/C, and mini-fridge. 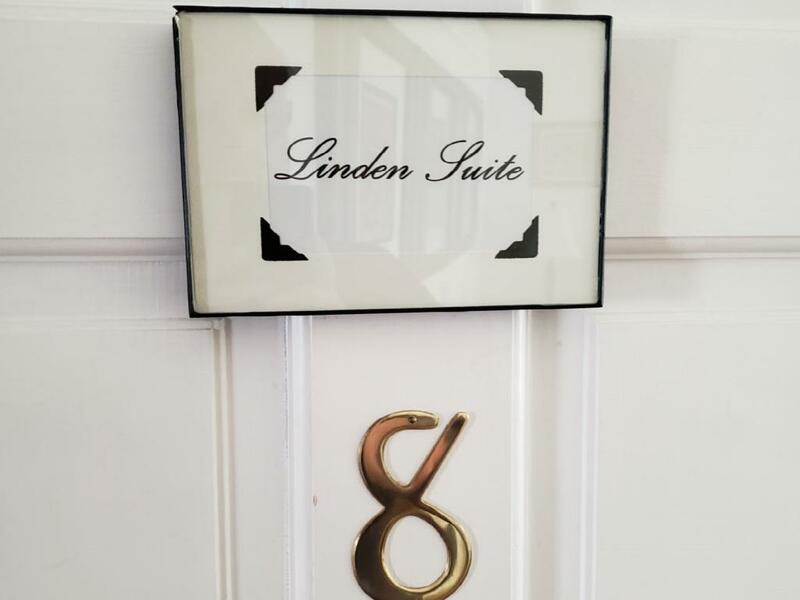 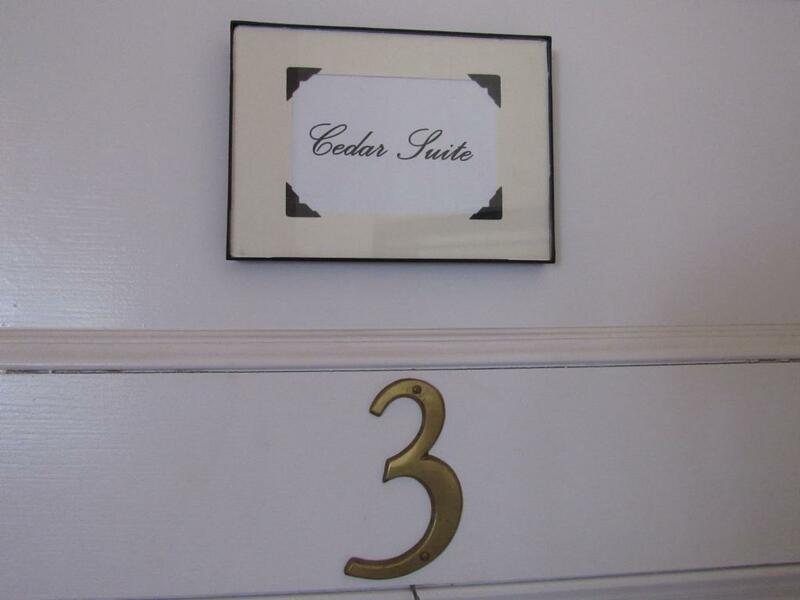 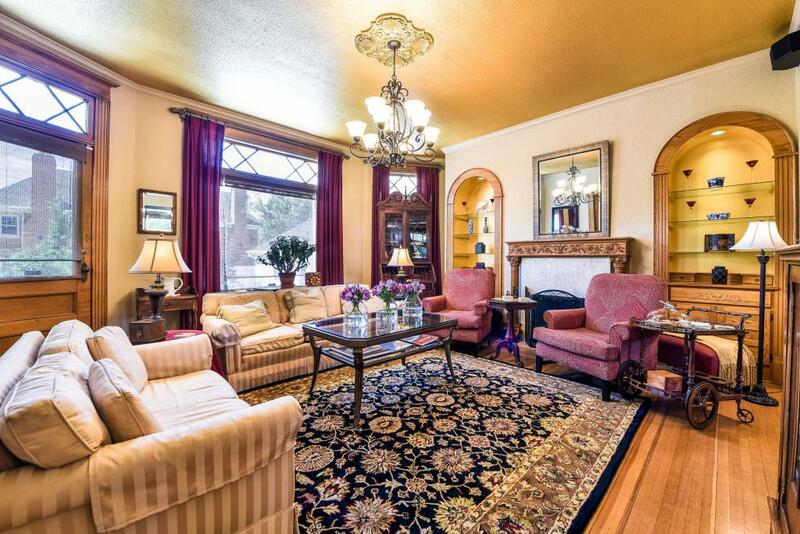 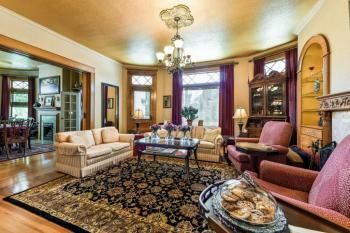 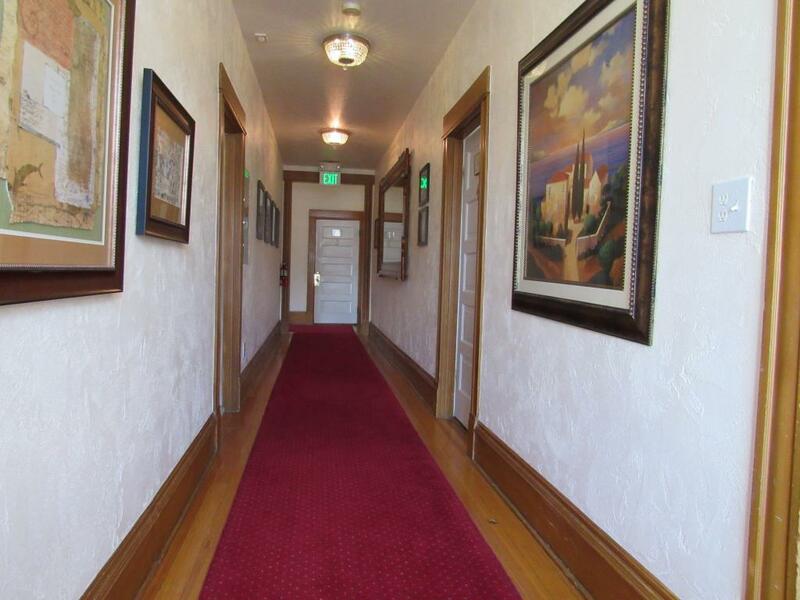 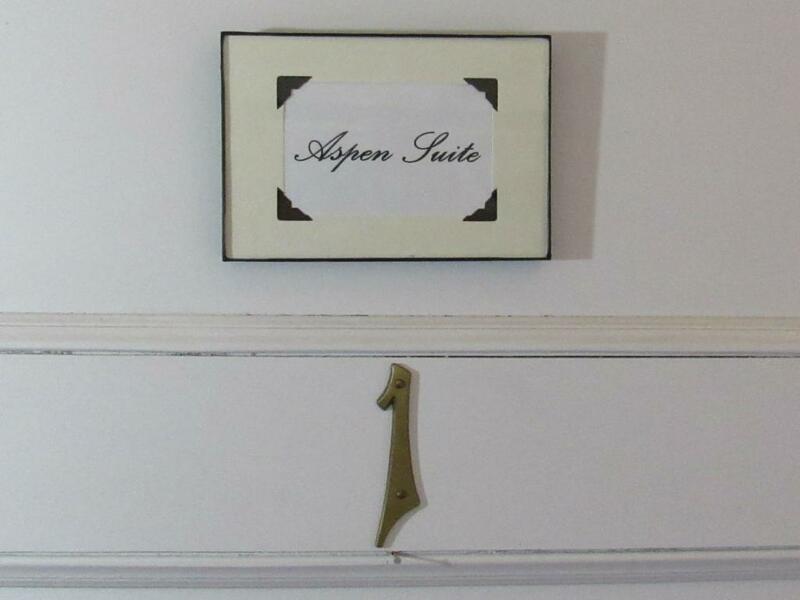 The Linden Suite provides a traditional motif, and is conveniently located on the main level. 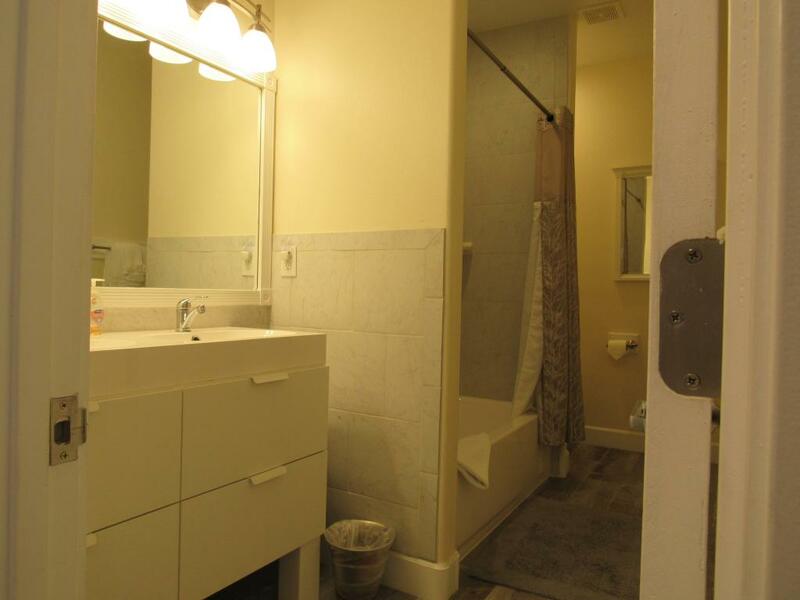 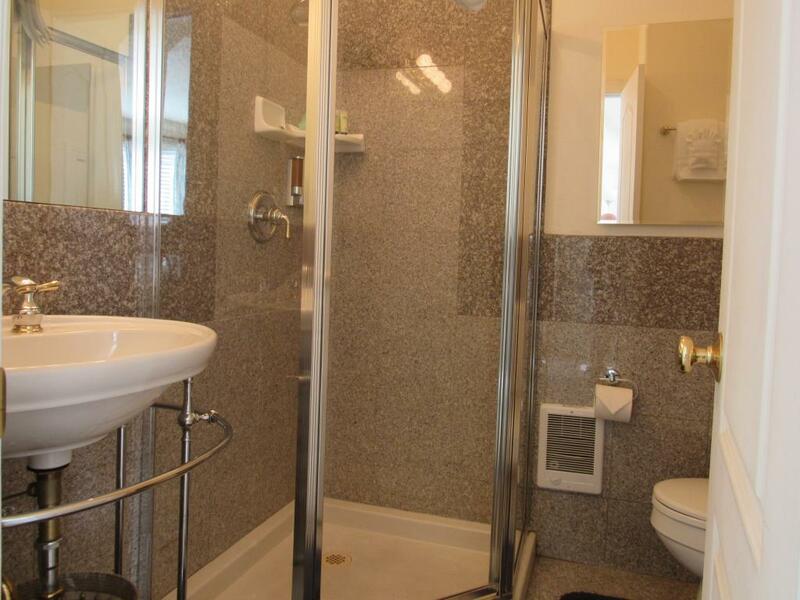 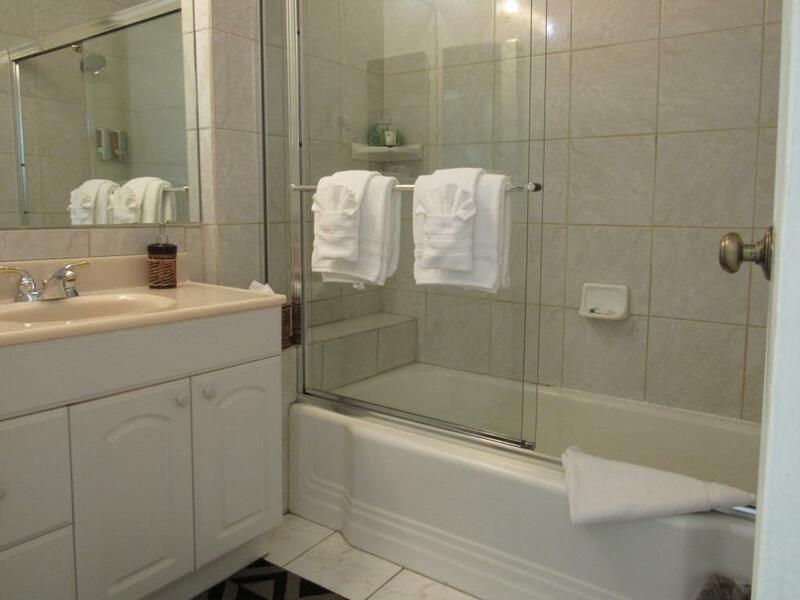 This popular suite features a queen-sized bed, a modern, private ensuite bath with heated floor, dual vanities, and a jetted whirlpool tub/shower. This Suite offers plenty of extras including a walk-in closet, a mirrored-door closet, hardwood oak floor, A/C, large flat screen TV, a mini refrigerator, and a ceiling fan. 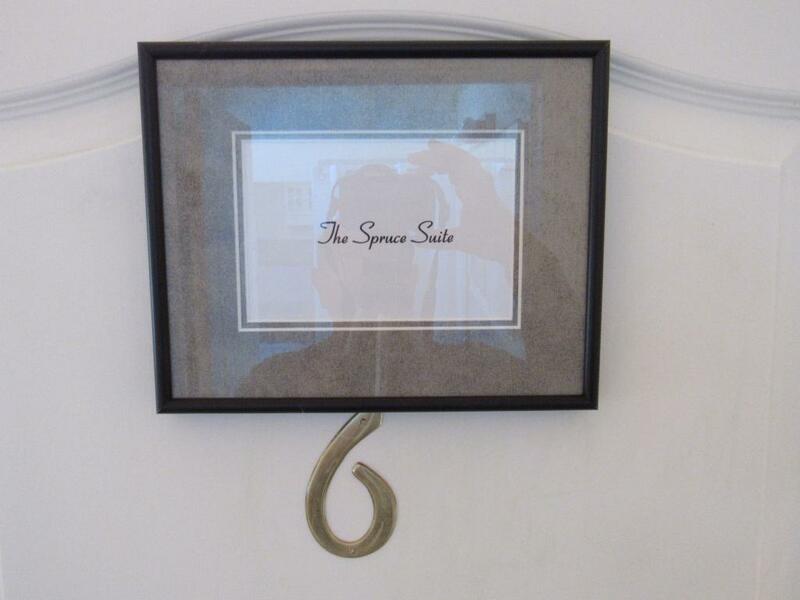 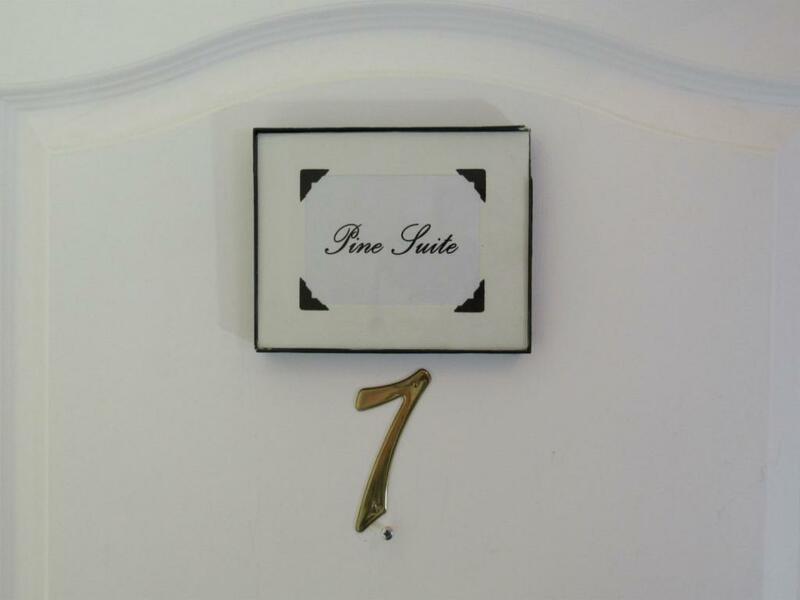 The Spruce Suite is our "Honey moon" or Penthouse Suite. 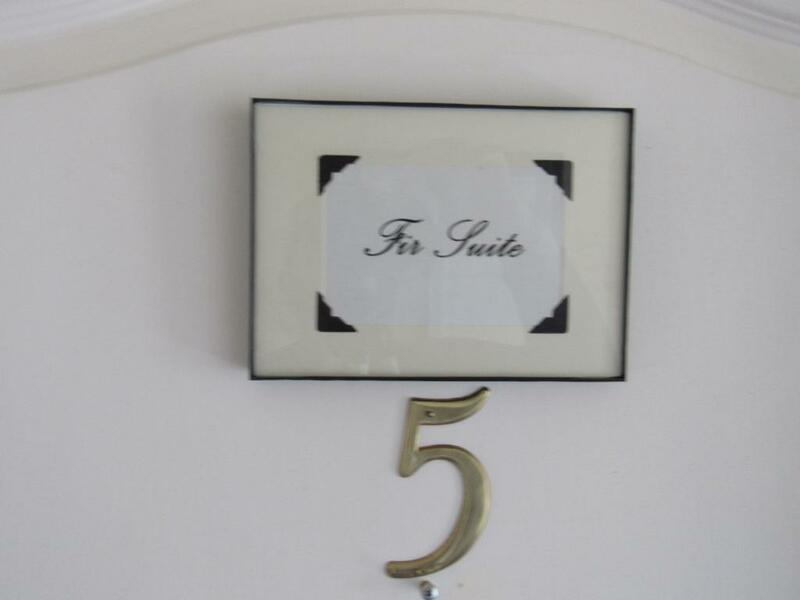 It is located on the third level. 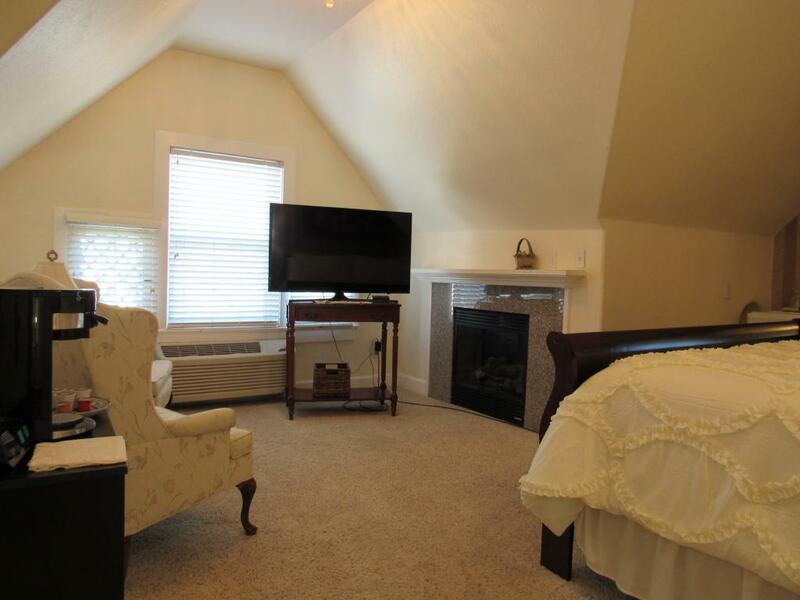 This romantic suite offers a spacious, spa-style private bath, a king-sized bed, a romantic fireplace complete with a separate sitting area and a quaint day room. 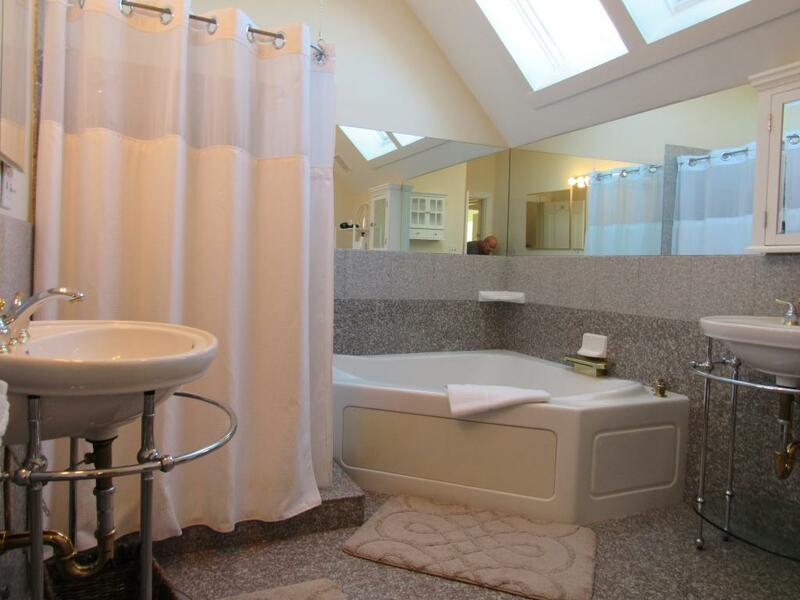 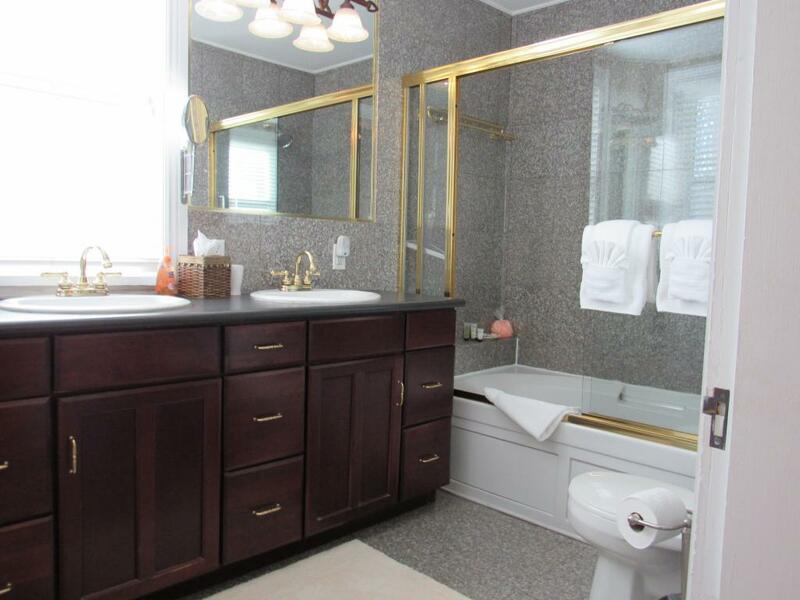 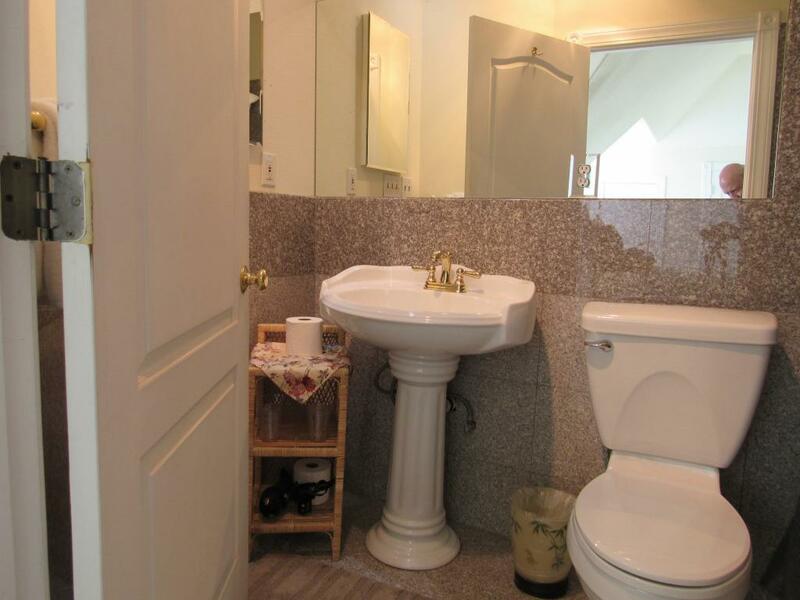 The Spa style bathroom features granite flooring and walls, a two person jetted tub, a separate over-sized shower, sky lights and dual vanities. This Suite also offers large closets, a large flat-screen TV, A/C, mini refrigerator, ceiling fan and coffee bar. 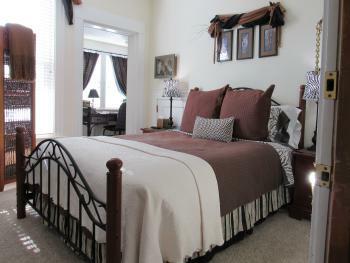 Perfect for all occasions requiring a little extra room. 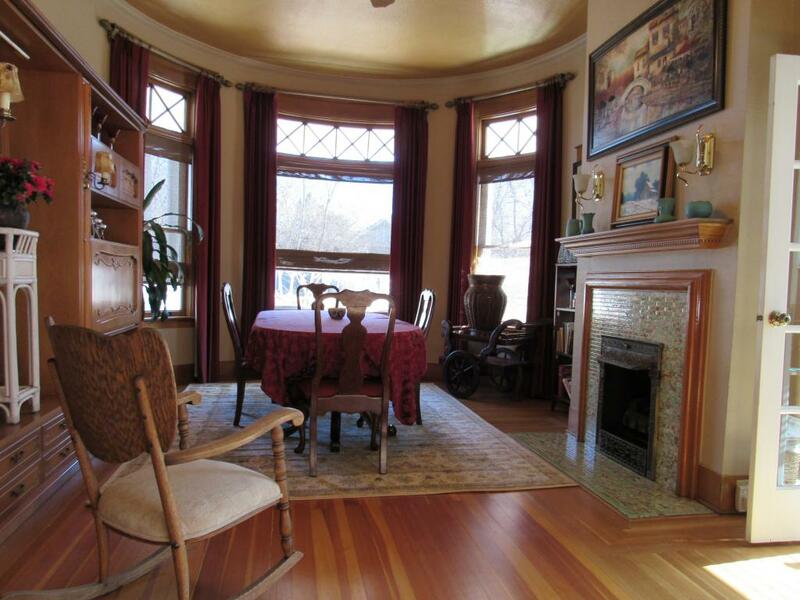 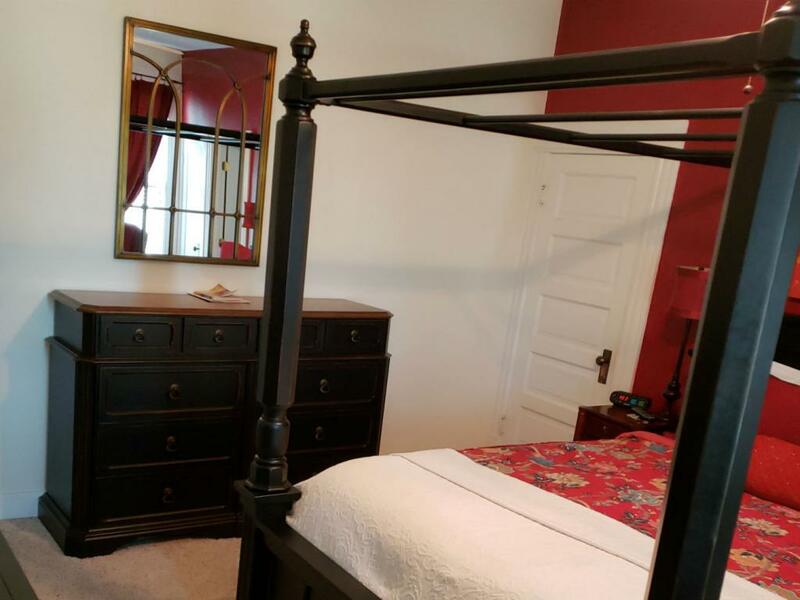 This one of a kind two bedroom suite features unsurpassed, rounded windows, historic trim and beautiful, red-oak hardwood flooring. 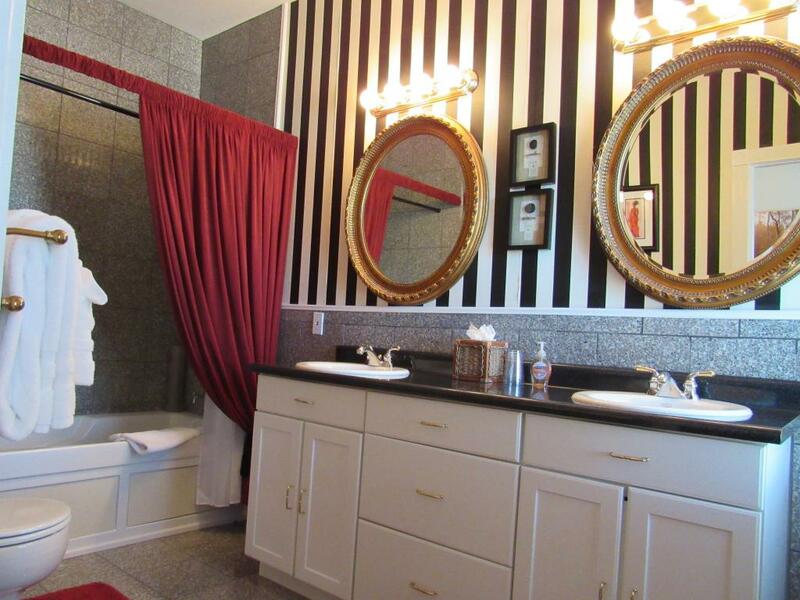 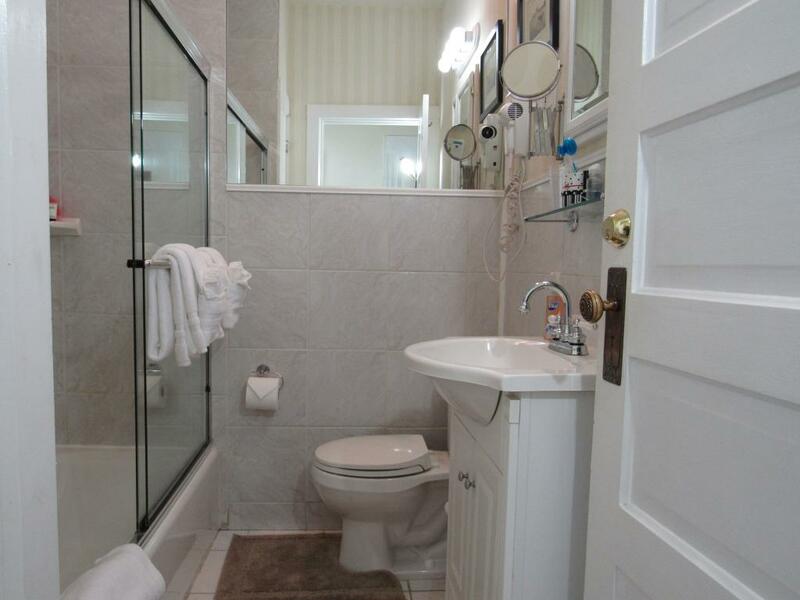 This two bedroom suite features a private hall and shared bathroom, solely serving the suite, and a private day room. 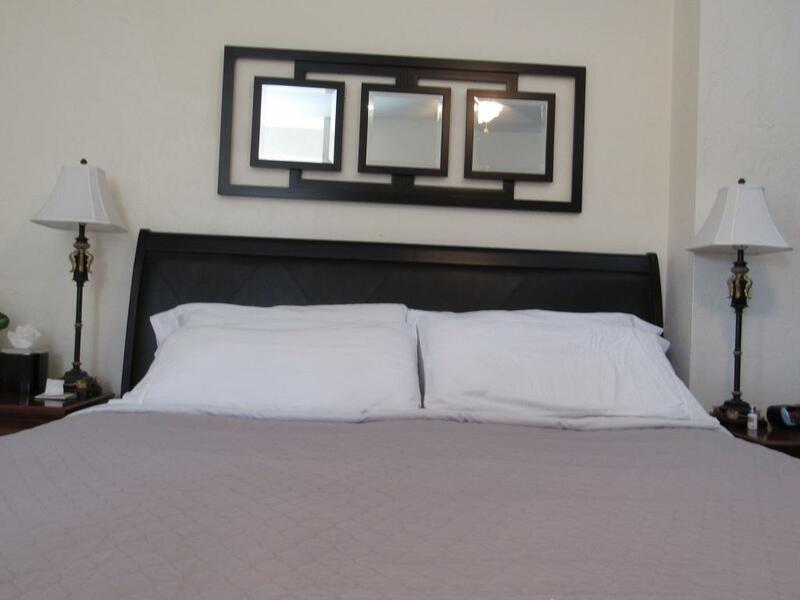 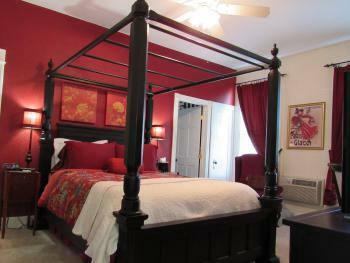 The larger bedroom offers a king-sized bed, the second bedroom offers a queen-sized bed. 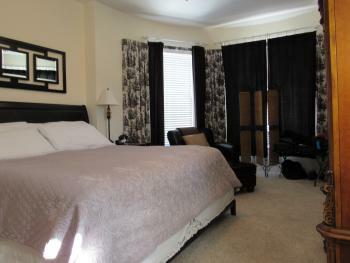 The suite provides large mirrored closet doors, lots of storage, and a large, flat-screen TV in each bedroom. 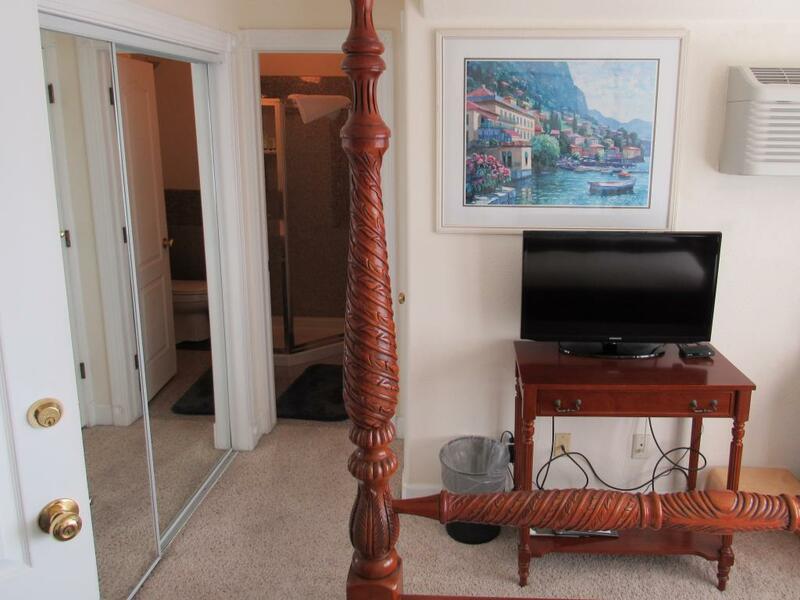 The Cedar also provides a mini refrigerator, A/C and ceiling fans. 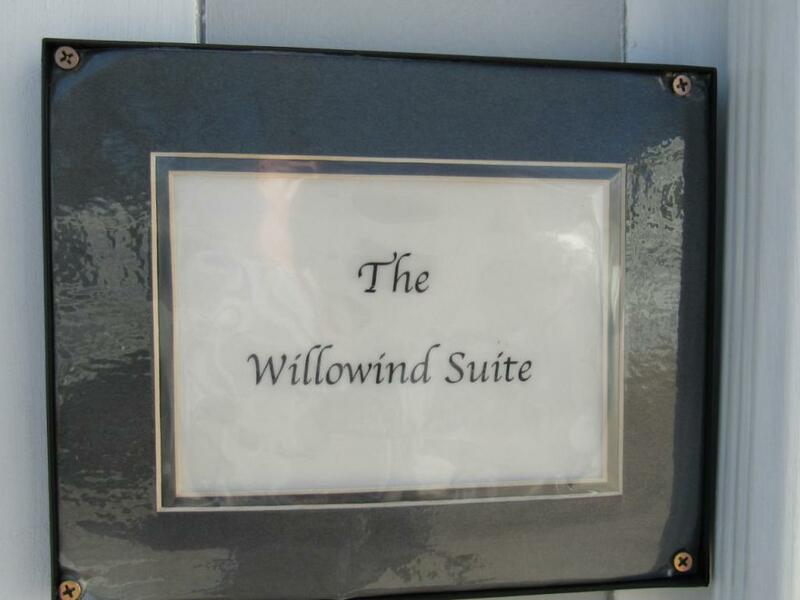 The Willowind is a conveniently located, main level executive suite offering a king-sized bed, a kitchenette with a pub style table and stools, as well as an over-sized, private bathroom with double vanities. 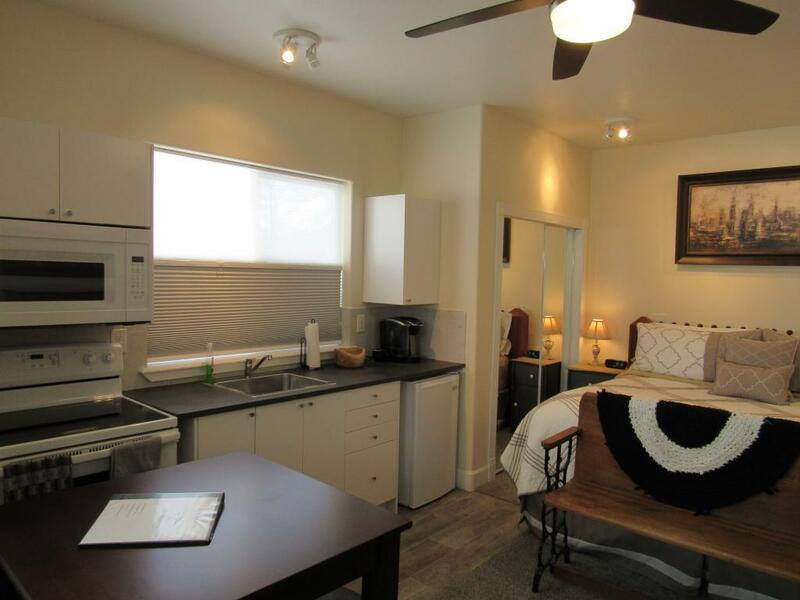 This modern suite is located in the Carriage House and features high ceilings, a separate sitting area with a hide-a-bed sofa. 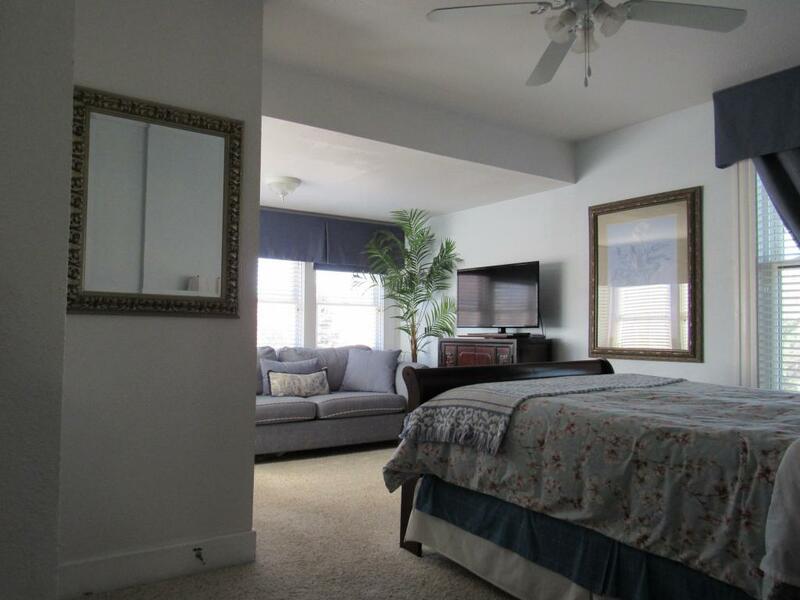 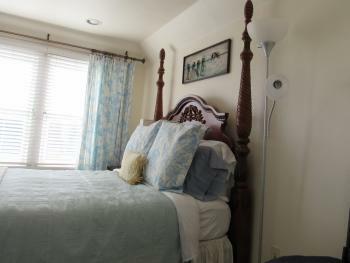 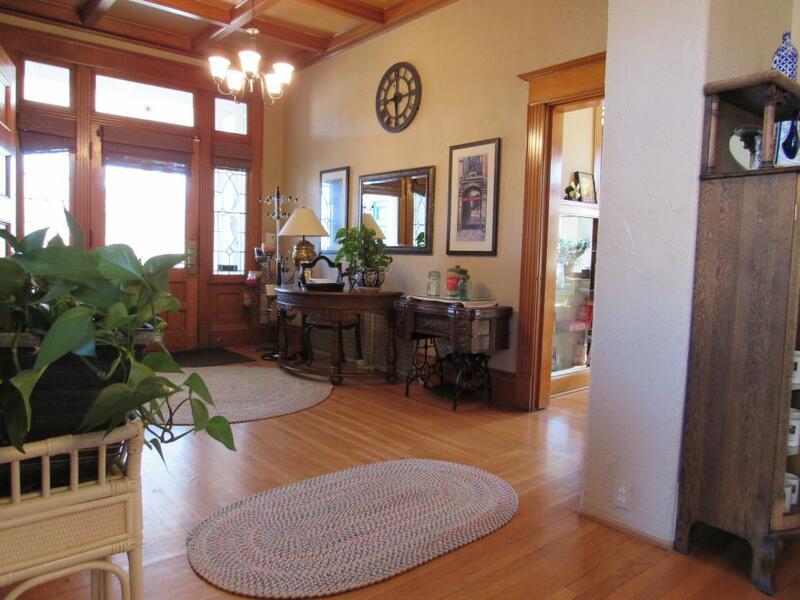 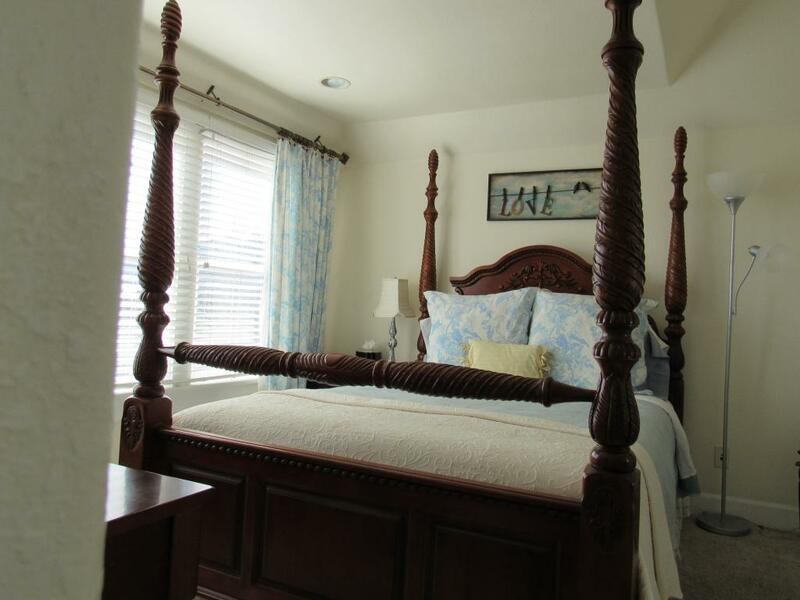 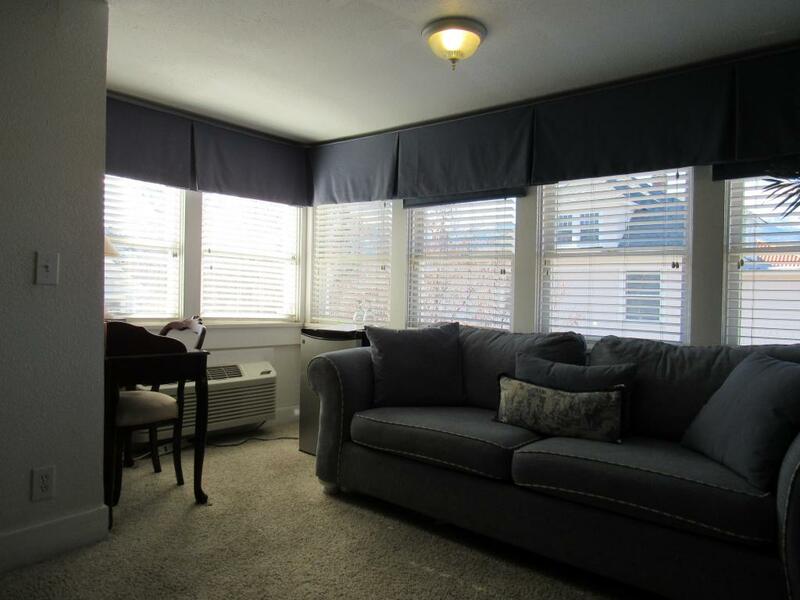 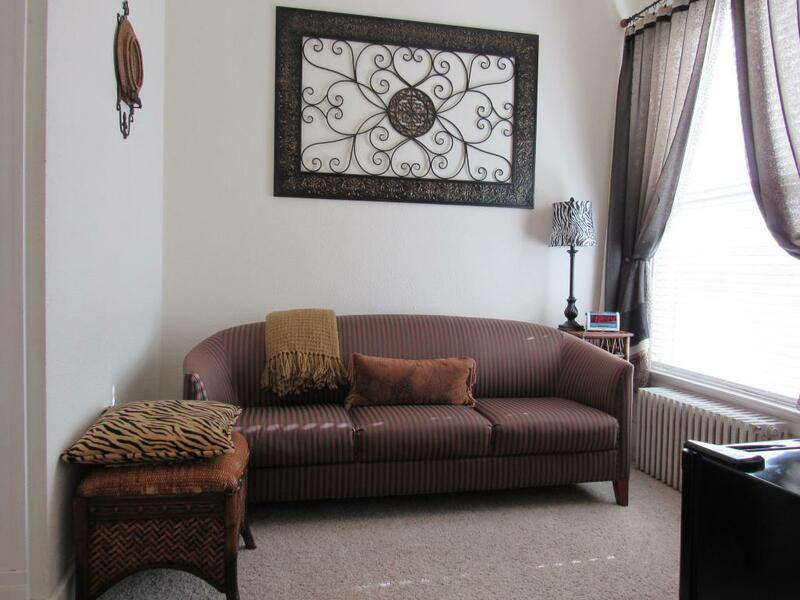 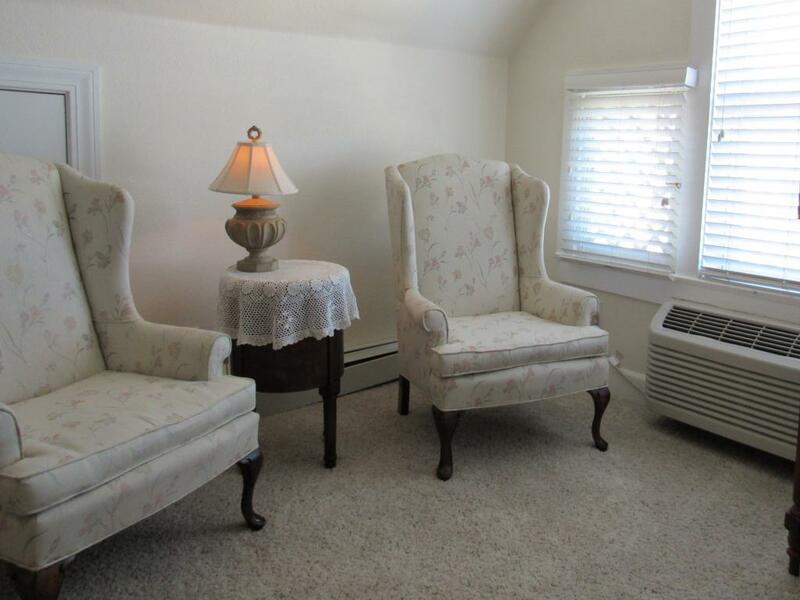 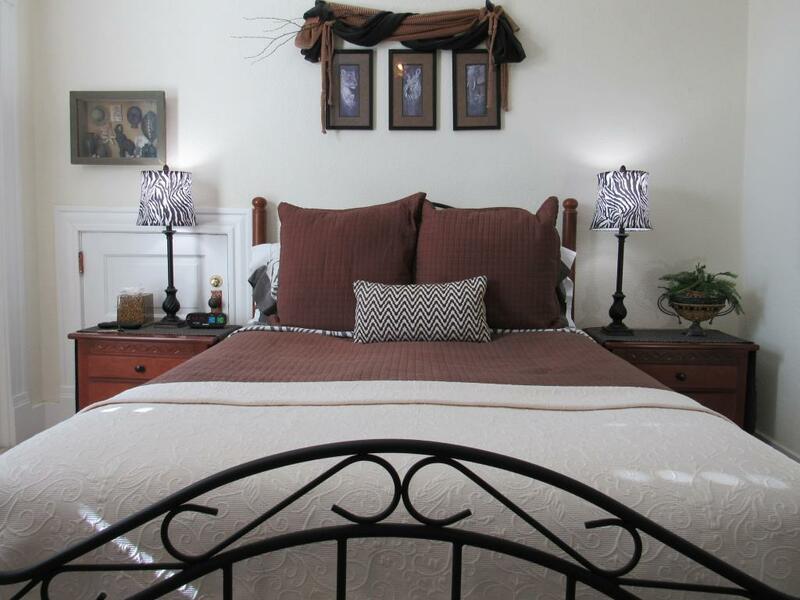 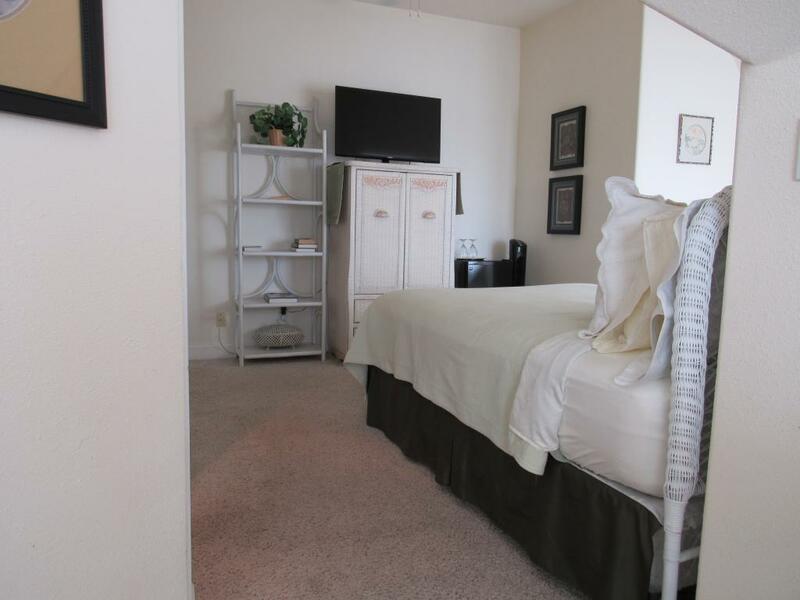 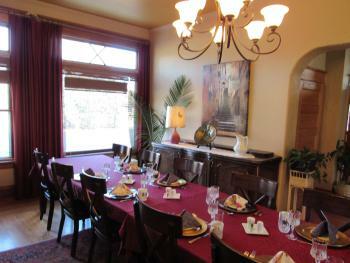 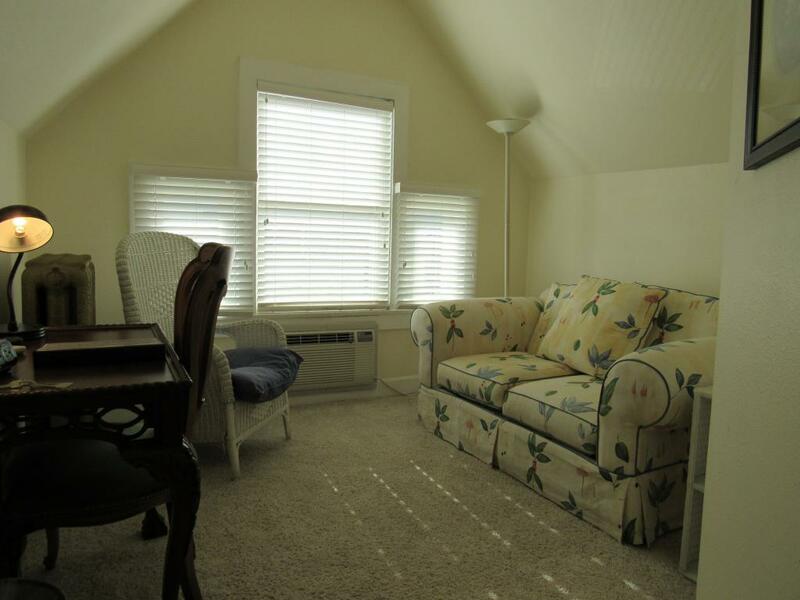 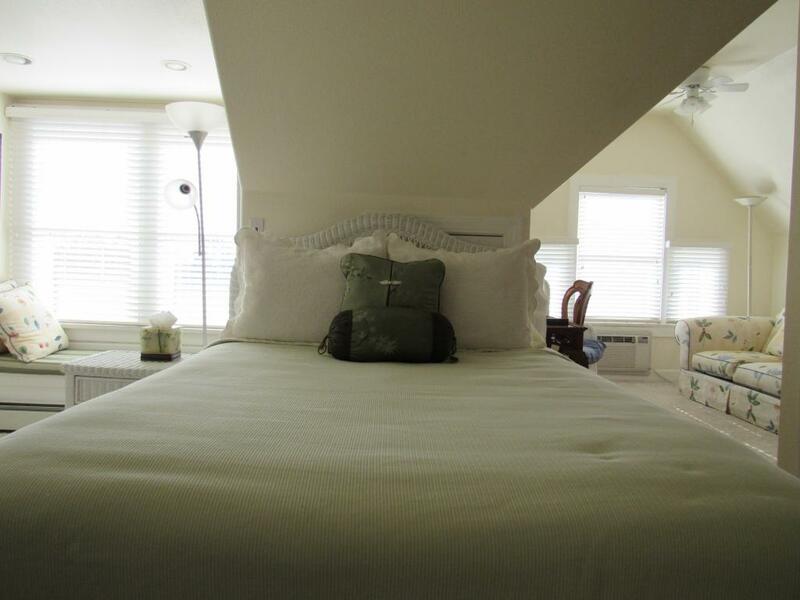 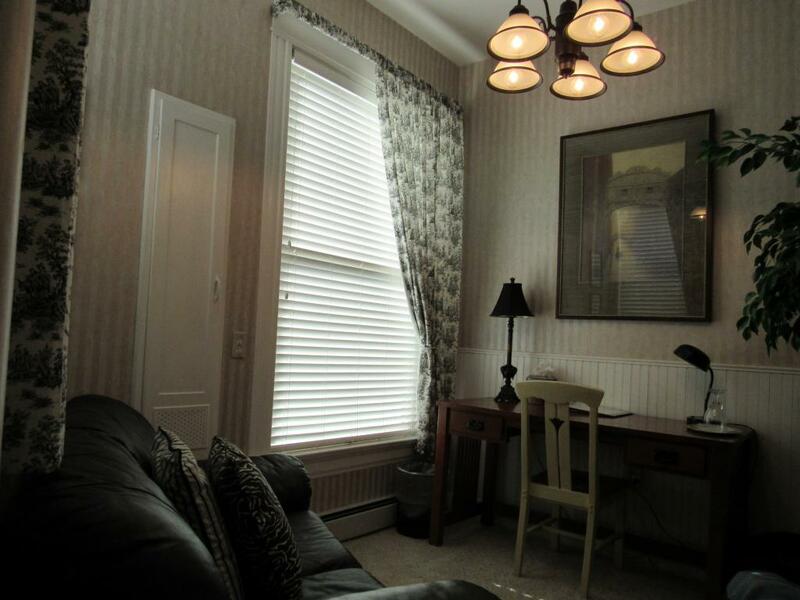 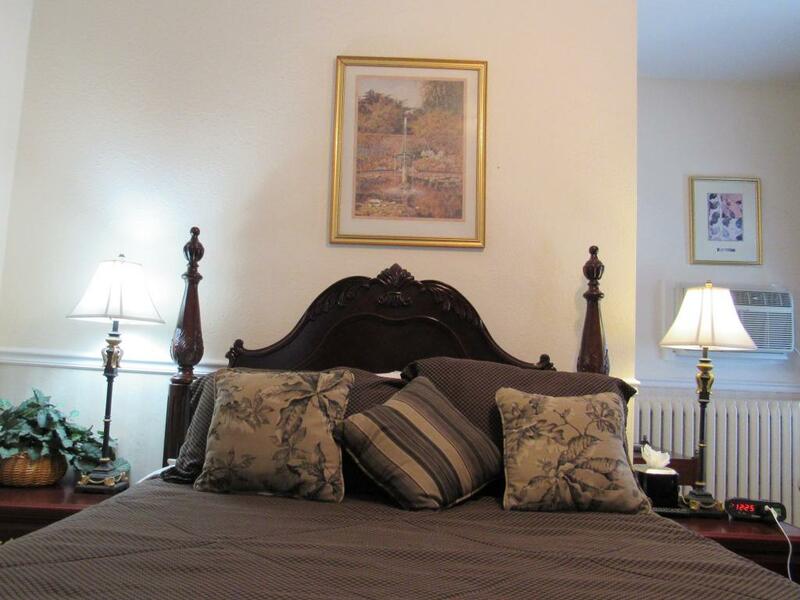 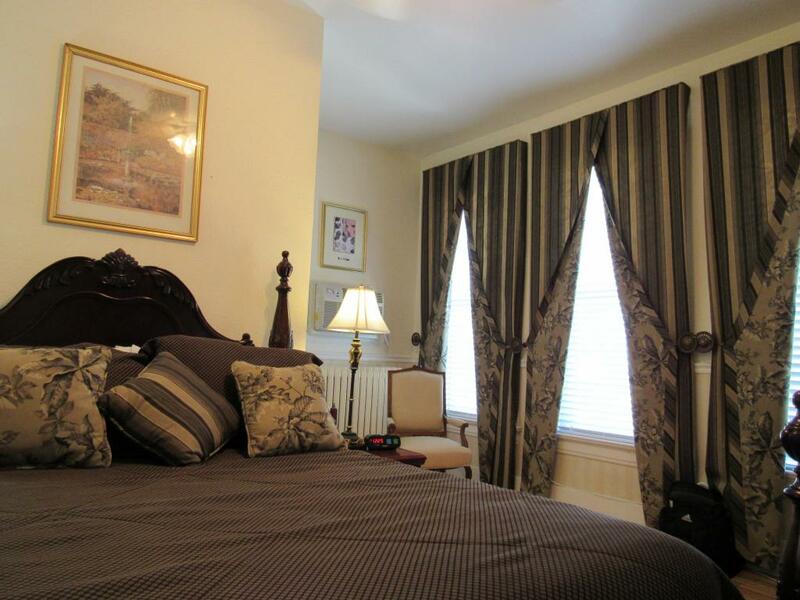 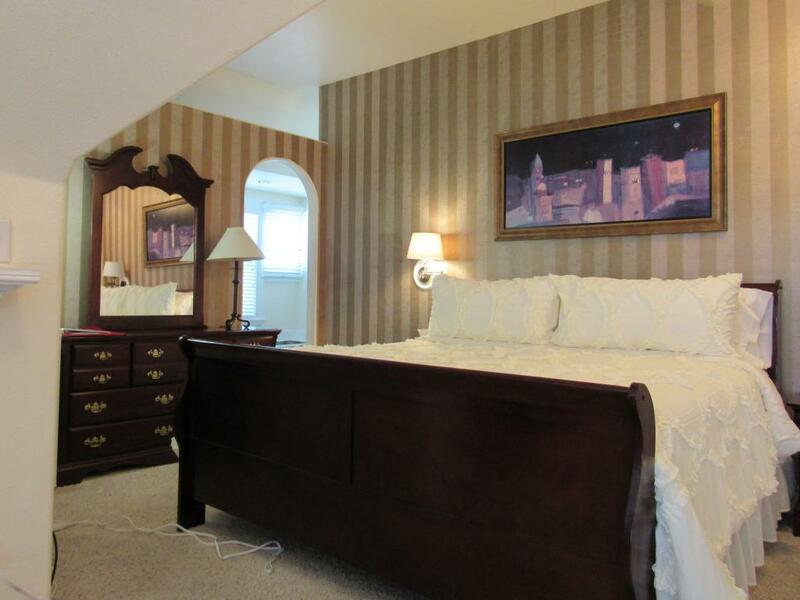 This special suite provides A/C, a ceiling fan, abundant windows and two closets...great for extended stays! 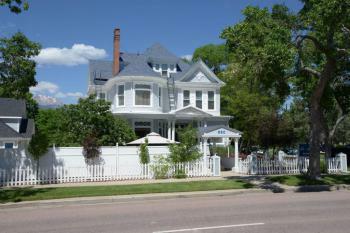 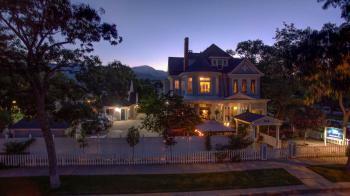 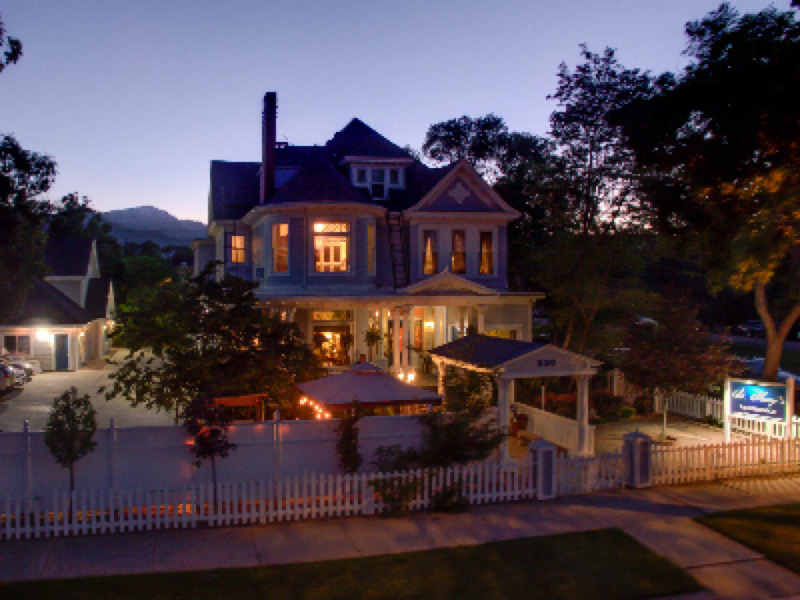 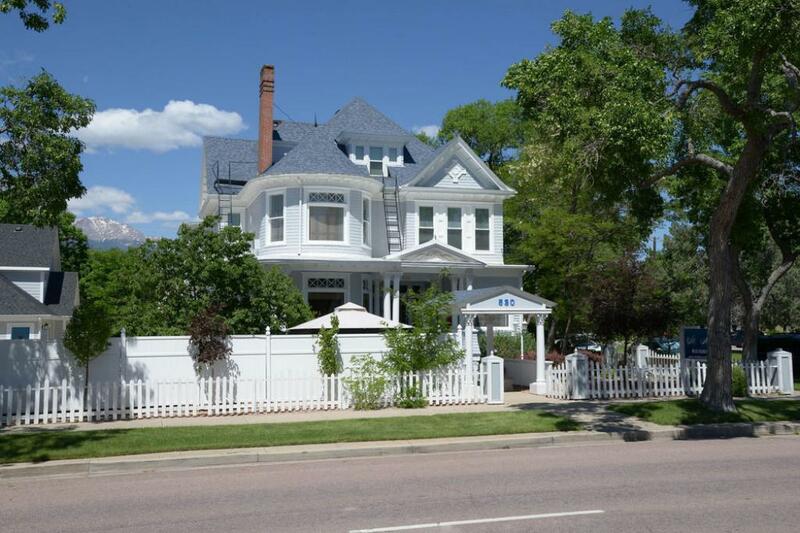 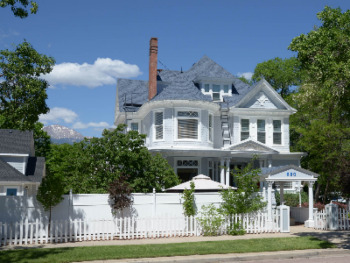 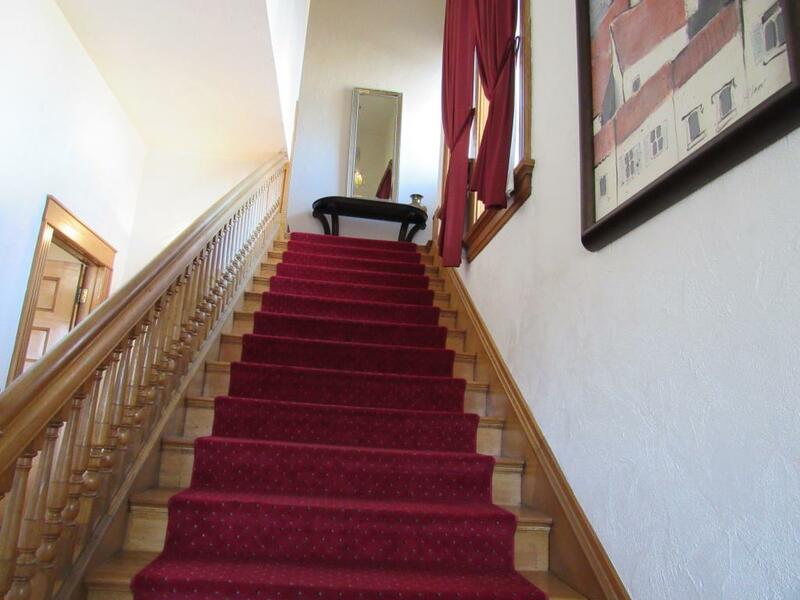 The St. Mary's Inn is an historic turn-of-the-century mansion, built in 1896, currently serving guests as an award winning Bed and Breakfast., Situated in a superior, central Colorado Springs location in a charming historic neighborhood, The St. Mary's Inn is within easy walking distance of numerous restaurants, shops, parks and Colorado College. 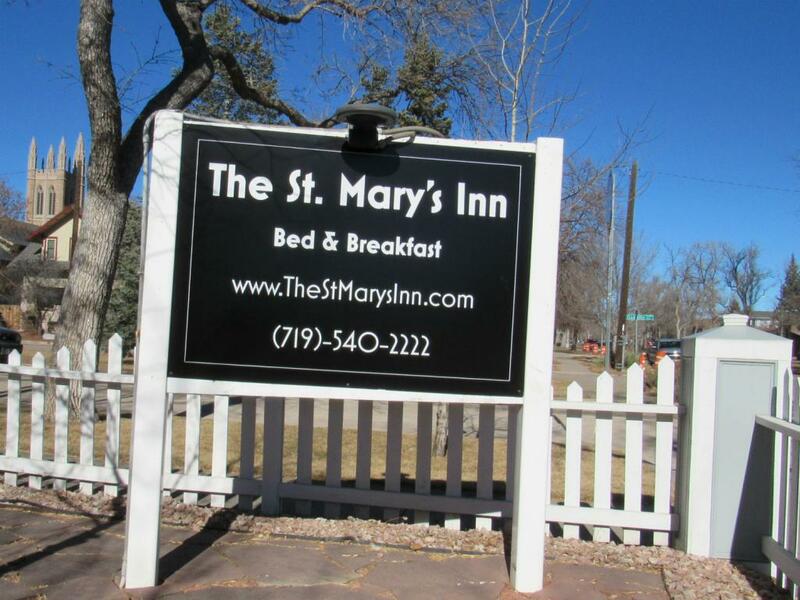 The St. Mary's offers uniquely appointed luxury suites with unlimited access to the historically themed common areas. 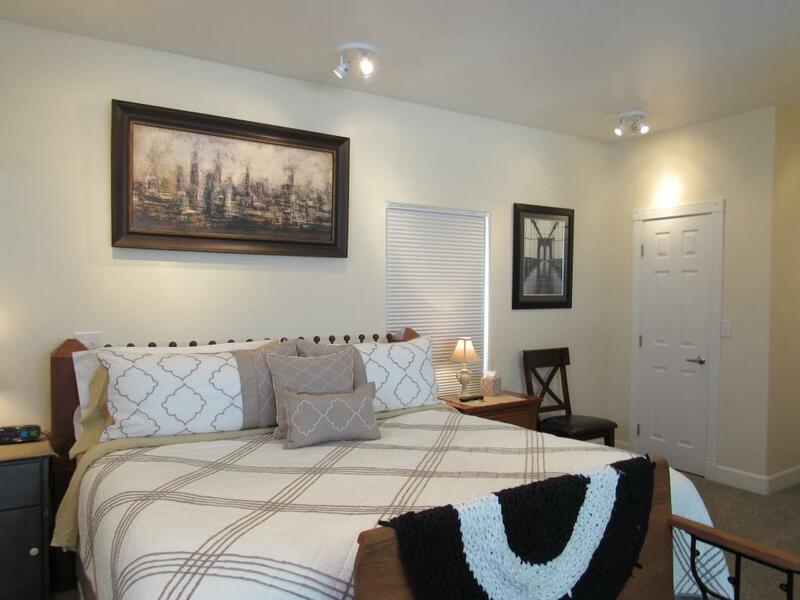 Free parking is available in a private lot, with adjoining free on-street parking. 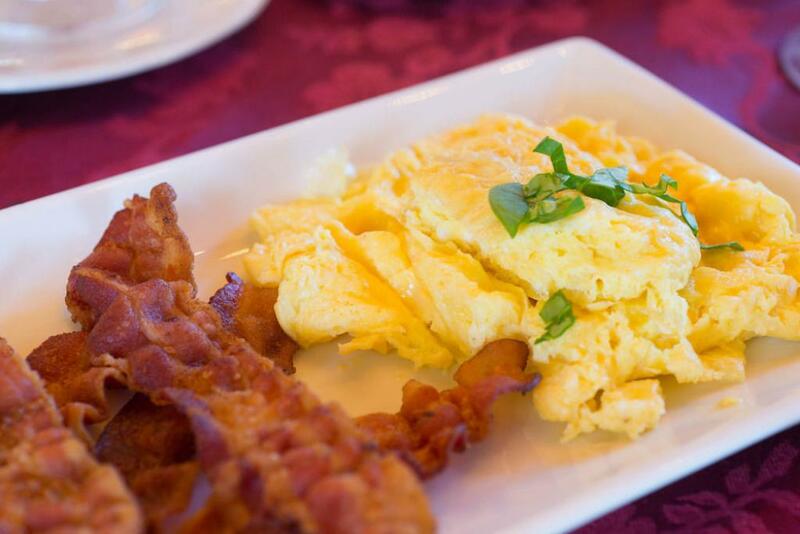 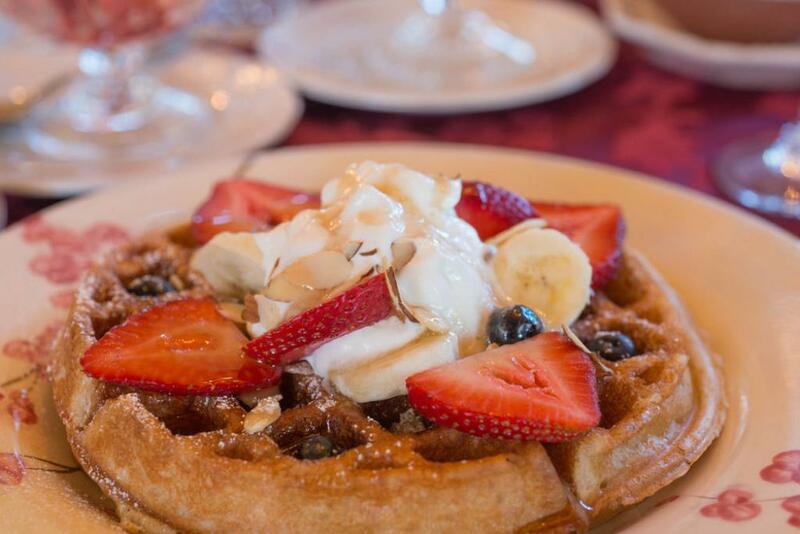 Each stay at the St. Mary's is made complete by our highly acclaimed, gourmet breakfasts. 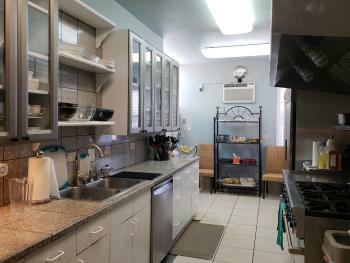 Coffee, tea, cookies and sweets are available anytime! 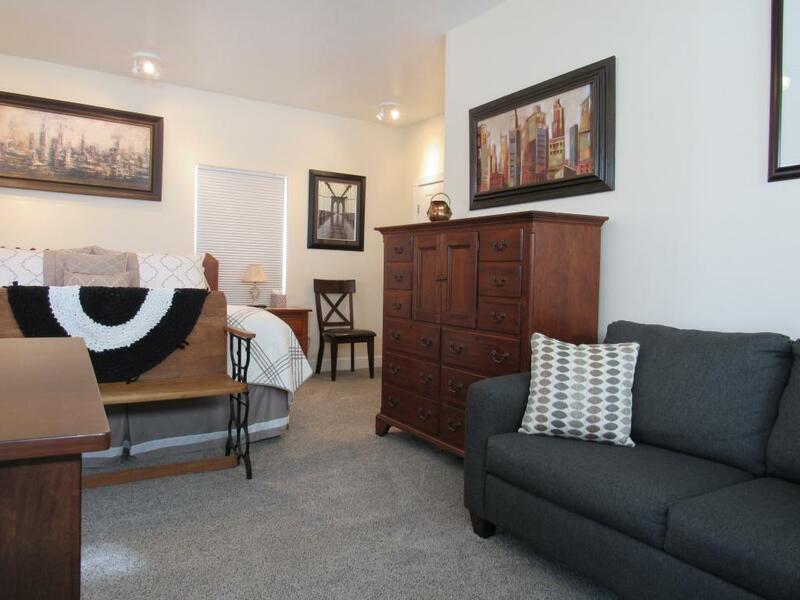 From Interstate 25 and MM 143, take Uintah Street Exit and Uintah Street east to No. 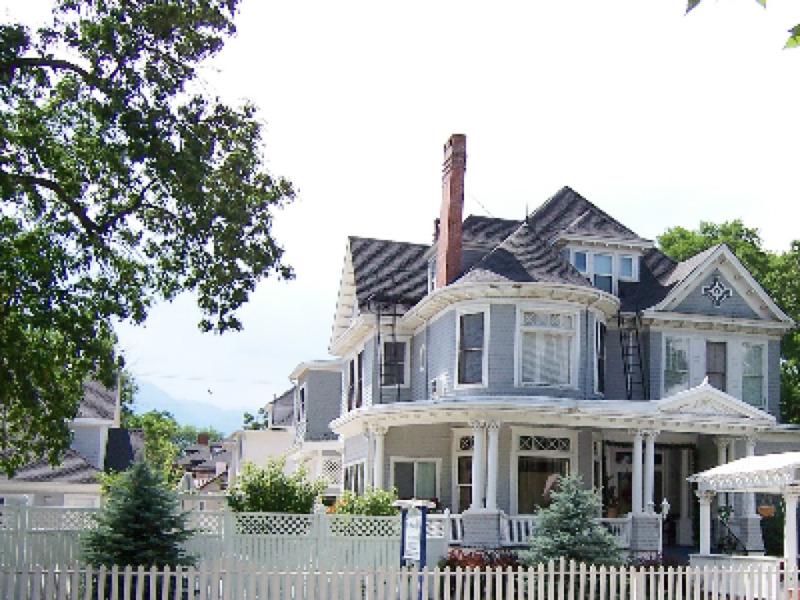 Nevada Avenue. 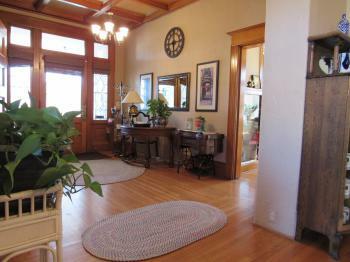 Turn South (right) on Nevada to 530 North (Willamette St). 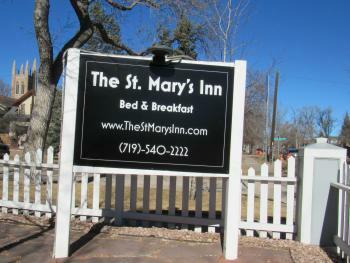 The St. Mary's Inn is on the right, or on the southwest corner of Nevada and Willamette.